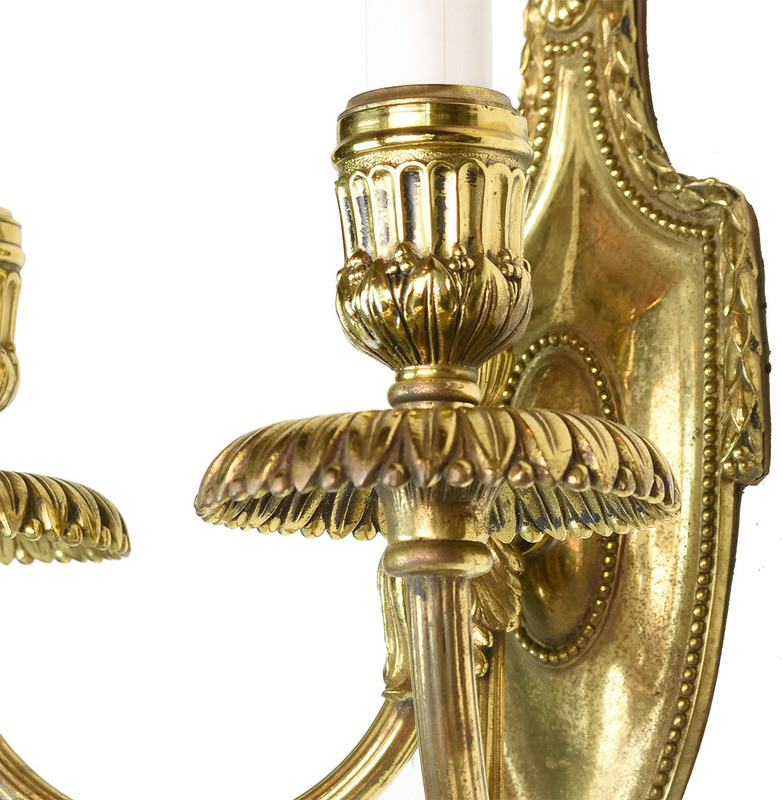 The heavy cast brass includes subtle classic designs that complement both the material and shape of the fixture. 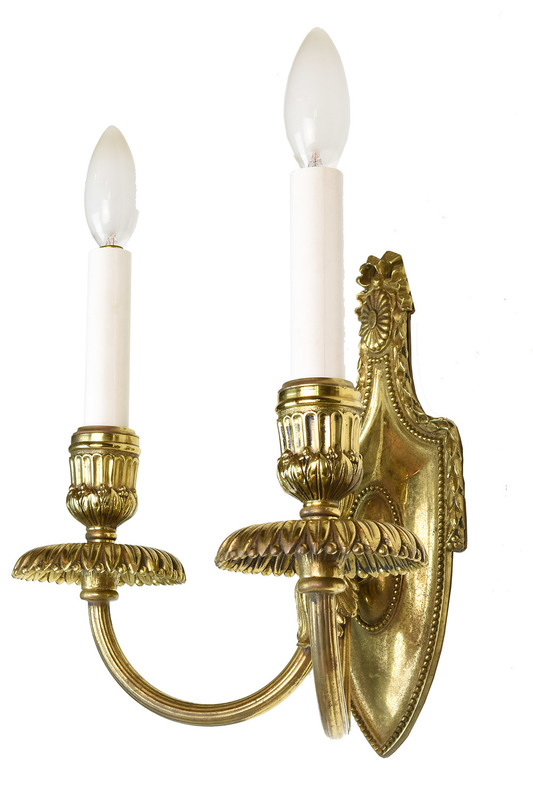 This fixture is the last remaining one of a set of sconces that had a signed cardboard backing, however this particular light does not have that piece. Attributed to Edward F. Caldwell & Co., a premier lighting designer and manufacturer from the late 19th century to the mid 20th century. The firm was well known for high quality lighting fixtures in bronze, iron, silver, brass, and copper. They also excelled at creating historically-inspired fixtures that were adapted for electric technology. Pieces were photographed after they were produced, and the Smithsonian Institution is now home to the E.F. Caldwell & Co. collection, with over 50,000 images, including 37,000 photographs and 13,000 original design drawings. Many Caldwell pieces can still be found in a number of esteemed locales, including Rockefeller Center, the Andrew Carnegie residence, and the White House.